Built in the 18th century, today Chateau La Tour Blanche was bequeathed to France by its owner in 1911 and is now home to the La Tour Blanche School of Viticulture and Oenology. The 40 hectare estate lies on a terroir under the influence of morning mists generated by the confluence of the Garonne and the Ciron, which allows the development of botrytis cinerea, the noble rot. 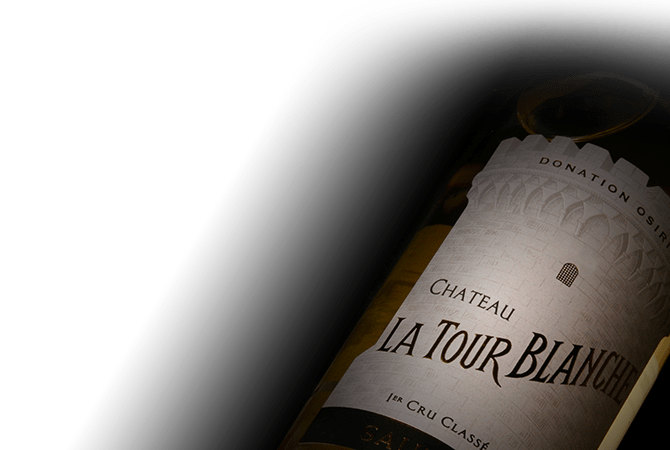 Year after year La Tour Blanche is praised for its fresh and crisp wines that possess an expressive tropical and citrus fruit bouquet with notes of lush spice.